The layout of a retail store, even more if it is a flagship store or a franchise store, often created by a designer or an architect, may be protected in France by copyright if the originality of the store design is recognized by the courts. 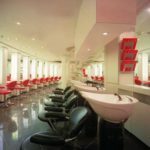 Such is the case of the franchised hair salons Shampoo, given their characteristics detailed by the Court of Appeal of Douai (April 5, 2018, Case 17/03809). The space “conceived as a stage of theater, designed in a curve, with a segmentation in several distinct spaces whose essential characteristics are as follows: an entry as wide and open as possible, a cash register space with a cash register close to the cloakroom and to the sidewalk, with curved shapes, with a nearby TV showing fashion clips and shows related to the events of the group, a sales area, located on the other side of the cash register, with shelves displaying the products for sale, a living room also designed with a generous curve by juxtaposing styling areas and mirrors, a laboratory space closed as a tower, or open as a bar for hair coloring, to show customers the preparation work, with the bins being placed in radiation around the lab, a space shampoo all around the laboratory, located in front of the hairdressing area, allowing a total circulation between the shampoo bins and keeping the customer as a spectator of the hairstyling, a hairdressing area fitted to the existing built, with styling stations, arranged in a curve“. The franchisor also dictates: “the soft shapes of the logo, reproduced in small touches on all the elements, the red color which constitutes the characteristic color of the mark which is affixed on all the accessories, the style of the photographs with a specific framing of the photographed models, the shape, colors and location of the furniture, the materials used, their textures, their colors, etc.“. This particularly detailed and complete description is certainly based on the elements provided and documented by the plaintiff. It is necessary to enable the courts to assess the originality of the work and if it reflects the author’s personality (see our article A copyright infringement action requires preparation). In this case, the Court recognized the features of the design of the retail store as original: “The elements taken as a whole reveal a work of creation, an aesthetic bias, bearing the personality of the author, which is not dictated by functional constraints and gives the Shampoo hairdressing salon its own identity, different from that of competing brands, and therefore protectable as an intellectual work”. The layout of a retail store, if it is considered as original, can be protected in France by copyright without any formality. Economic operators, especially franchisors, must ensure that they hold the rights to reproduce and duplicate the retail store design, by obtaining the assignment of these rights from their authors, architects, interior designers, etc. This assignment of rights should include a provision relating to the possibility for the new owner to protect the work as a registered design, or even as a trademark, as the famous Apple Store. Share the post "Design of a retail store may be protected by copyright in France"